Sun Feb 3, 2019 936 words. There are five ways to use decorators and we will look at examples of each one. Decorators are very good at creating abstractions - almost too good. While it is tempting to create a decorator for all of the things, they are best suited for stable logic that needs to be duplicated in many places. A class decorator makes it possible to intercept the constructor of class. They are called when the class is declared, not when a new instance is instantiated. Side note - one of the most powerful characteristics of a decoractor is its ability to reflect metadata, but the casual user will rarely need this feature. It is more suitable for use in frameworks, like the Angular Compiler for example, that need to to analyze the codebase to build the final app bundle. Real World Use Case: When a class is decorated you have to be careful with inheritence because its decendents will not inherit the decorators. Let’s freeze the class to prevent inheritence completely. All of the examples in this guide use Decorator Factories. This just means the decorator itself is wrapped in a function so we can pass custom arguments to it, i.e @Cool('stuff') Feel free to omit the outer function if you want to apply a decorator without arguments @Cool . Let’s override the flavor property to surround it in emojis. This allows us to set a regular string value, but run additional code on get/set as middleware, if you will. Method decoractors allow us override a method’s function, change its control flow, and execute additional code before/after it runs. The following decoractor will show a confirm message in the browser before executing the method. If the user clicks cancel, it will be bypassed. Notice how we have two decoractors stacked below - they will be applied from top to bottom. 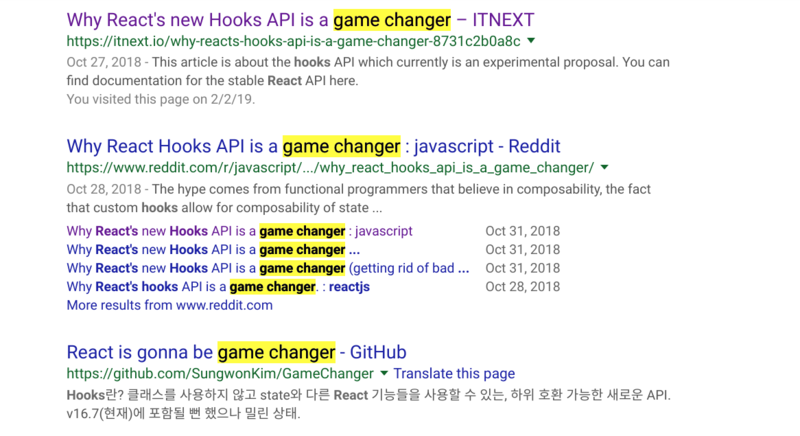 You’ve probably heard that React Hooks are a game-changer for the web. Is there any chance Angular can catch up to produce code that is equally beautiful, succinct, and game-changing? Well, yes actually, and it has been able to do this from day one. In react, the useState hook provides you with a reactive variable count and a setter setCount. The effect hook hook simply consolidates the component lifecycle of componentDidMount and componentDidUpdate into a single callback. This is very easy to emulate with a method decorator because we can apply the function descriptor to Angular’s equivelent ngOnInit and ngAfterViewChecked lifecycle hooks.